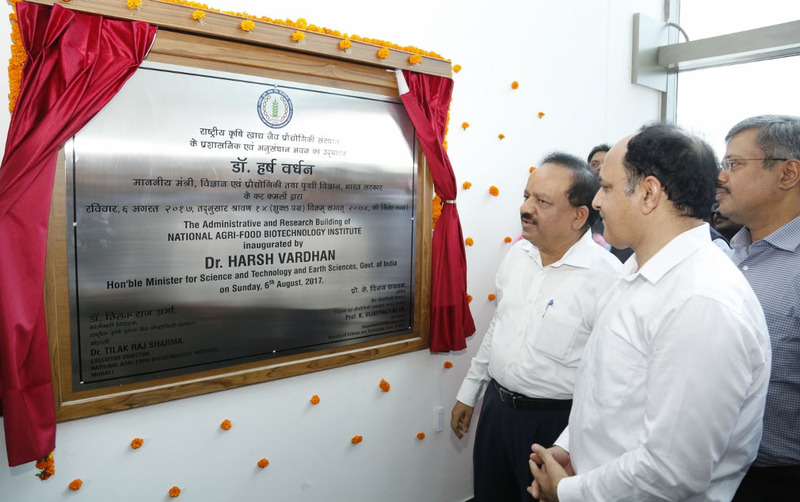 The Union Minister for Science & Technology, Earth Sciences and Environment, Forest & Climate Change, Dr Harsh Vardhan inaugurating the Administrative and Research Building of Center of Innovative and Applied Bioprocessing (CIAB), in Punjab on August 06, 2017. 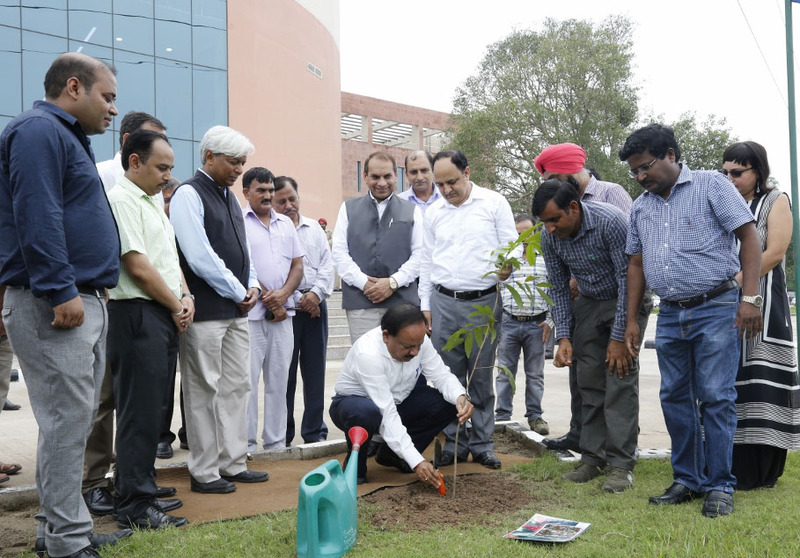 The Secretary, Department of Biotechnology, Prof. K. Vijay Raghavan and other dignitaries are also seen. New Delhi: The National Agri-Food Biotechnology Institute (NABI) and the Center of Innovative and Applied Bioprocessing (CIAB), the two national institutes under the administrative control of Department of Biotechnology, Ministry of Science and Technology have become operational on August 06, 2017. The institutes were inaugurated by Dr Harsh Vardhan, Union Minister for Science & Technology & Earth Sciences, Environment, Forest & Climate Change in the presence of Dr K Vijay Raghavan, Secretary, DBT, Prof Arun Kumar Grover, Vice Chancellor, Panjab University, Chandigarh, Dr T R Sharma, Executive Director, NABI and Dr Rajender Singh Sangwan, Chief Executive Officer, CIAB. Speaking on the occasion, Dr Harsh Vardhan, Union Minister expressed his pleasure in dedicating both the institutes to the nation and emphasized the need for quality research work and output with optimal utilization of state-of-art equipment and infrastructure that can reach common man in a form that can be easily perceived in proper perspective. 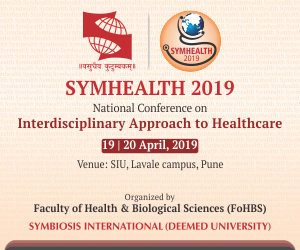 He encouraged scientists/students to exploit the biotechnological tools to address the problems related to the quality of food and malnutrition with full enthusiasm and zeal getting inspiration from the legacy and contributions of champions in the field of science and technology. He urged both the institutes to address the problems of hunger & malnutrition and to bring nutritional revolution in the country through biotechnology research and innovation for Food and Nutrition Security. 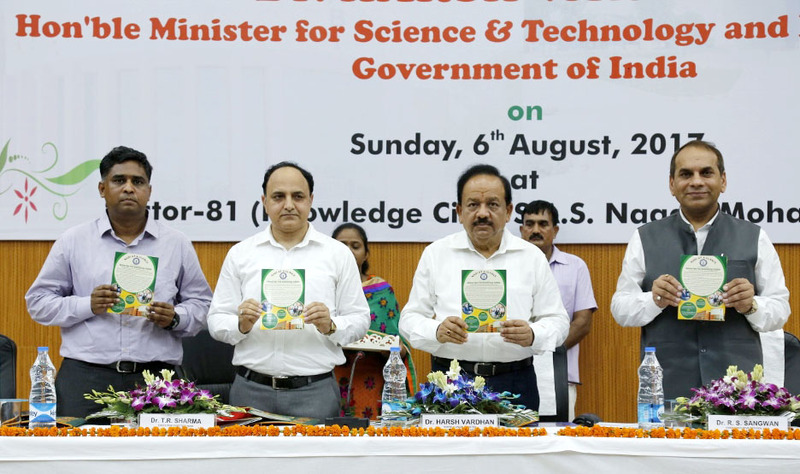 Dr Harsh Vardhan also said that young researchers and students should aim big and work hard to achieve their goals with sustained efforts. 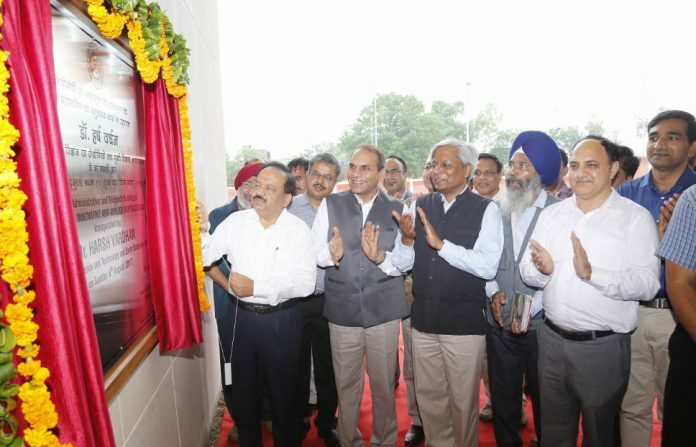 Build at the joint cost of Rs 78 crores, NABI is the first Agri-Food and Nutritional based Biotechnology Institute, which has been set up by the Department of Biotechnology in the Knowledge City, Sector 81, Mohali. CIAB has been set up adjacent to NABI and is the first institute dedicated to the generation of secondary agriculture bioproducts through value addition to unutilized and underutilized biomass. Interacting with the faculty, Dr Harsh Vardhan emphasized the need for doing new innovations that have an immediate societal impact with the common man as the target. He counseled researchers to shift from routine to out of the box thinking and to dream big to translate their efforts to greater innovations. He also said there should be a method for scientists to work to set time frames to achieve their targets. Both the institutes, NABI and CIAB are part of agri-food cluster in the Knowledge City, Mohali along with its neighboring institutes, like; IISER, ISB, INST and Biotech Park. The campus comprises of laboratory buildings, 15 acres of land for field experiments, a large glass house, transgenic net houses, office area, housing, guest house, research scholar hostel, utilities and other requisite services. Total entire area of the campus is 50 acres. The building complex of CIAB has a total floor space of 77000 square feet built at a cost of Rs forty-three crores whereas NABI has a total floor space of 3,17,500 square feet built at a cost of Rs one hundred and thirty-five crores. The institutes apart from providing quality research in the field of agricultural biotechnology and bio processing also provide innovative technologies in the field of food processing. Under reach to community program NABI is playing an important role in conducting motivational course to the students of local schools to increase their awareness in life sciences. Their products of nutritionally rich crops and processing of crop residues in useful products will be provided to the local farming communities to increase their income.The industry ready specialized products like high anthocyanin have already been taken by local industries under specific MOU. They are acting as nodal agencies for local organization in the areas Agri food and nutritional biotechnology. Few shots from the inauguration event at Mohali.